This kit Fits the Plymouth A Bodies from 1963 through 1966. We have another kit for the 63-66 Dodge, the wheelbase is different and requires a different frame connectors!! The kit mounts to the unibody of your A-Body Mopar and adds strength and stiffening to the entire unibody structure. 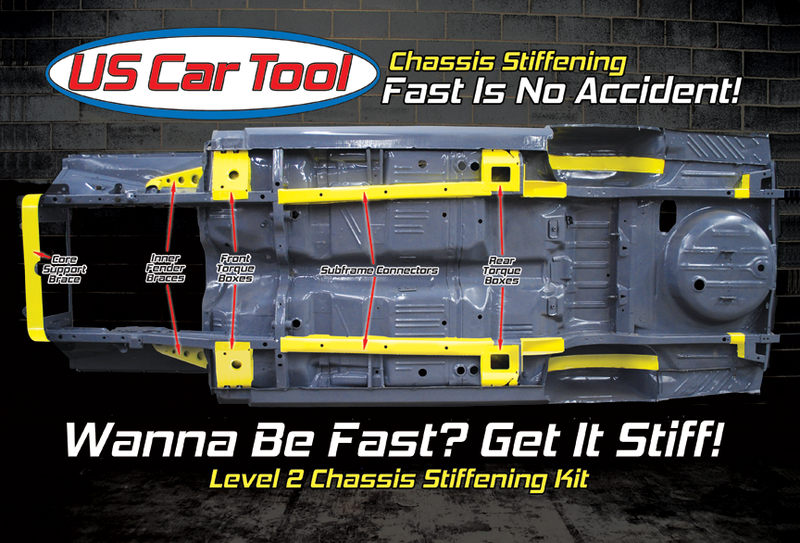 This the most complete kit and adds the most strength available, short of adding a full roll cage to your car.